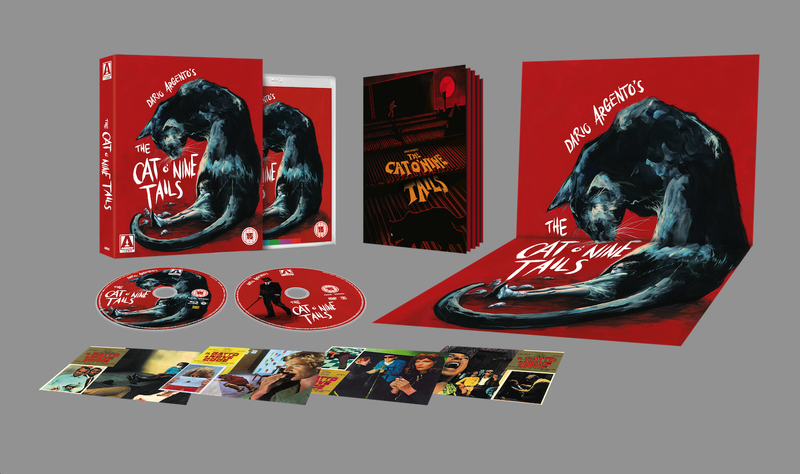 Realm of Horror - News and Blog: Argento's CAT OF NINE TAILS - fully restored on BD/DVD from Arrow. 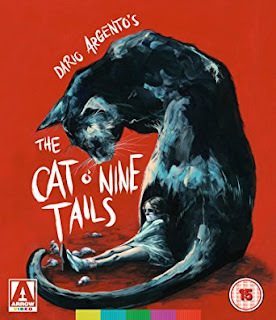 Argento's CAT OF NINE TAILS - fully restored on BD/DVD from Arrow. Dario Argento’s devilishly good 1971 horror mystery The Cat O’ Nine Tails starring James Franciscus (City On Fire, Beneath the Planet of the Apes) and Karl Malden (On The Waterfront, TVs Streets of San Francisco), is a brilliantly byzantine thriller that cemented Argento’s reputation as a master genre director. The Cat O’ Nine Tails limited edition BD/DVD box set is released January 8th from Arrow Video.